For me, what started off as a volunteer opportunity turned into something much bigger then I could have ever imagined. I found out about Smile-A-Mile by simply looking for a way to give back and volunteer. Little did I know SAM would forever change my life. I went into my first camp session, five years ago, not really knowing how I felt about being gone for a week of my summer, not being paid and not knowing a single person. I quickly realized that this was such a special place. From the moment I arrived I felt like this was family. I felt like it was meant for me to be here. I have made lifelong friends, and meet some of the most amazing kids ever. SAM has made me realize that life is short and it can end at any moment, no matter your age. It has also shown me that the problems we face are so small compared to the problems that these children face daily. 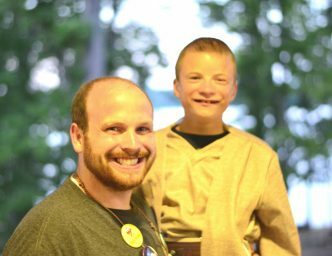 This is why I still come to camp each summer to make sure that we can give these children the best time, because we never know this could be their last camp session.